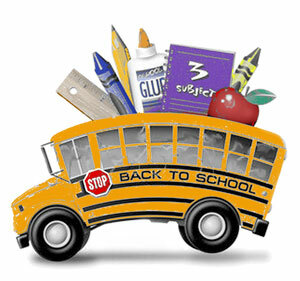 Over at CanadianParents.com there is a busy and useful online discussion taking place about back to school topics. If your children are starting school, you’ll probably have a few questions that you’d like to ask about the new school year routine. If your children are in high school, you’ve probably got the Back to School activities down to a tight routine. If you’re old enough to remember the lazy, hazy school days of the 70s and early 80s, you’ll know that the Back to School chant in the media has amped up since then. At least it got louder and was broadcast earlier in the summer until the most recent economic downturn. Realtors are bracing themselves for a slow back to school season this year. Not surprisingly there seem to be a smaller number of TV and radio ads announcing back to school sales. 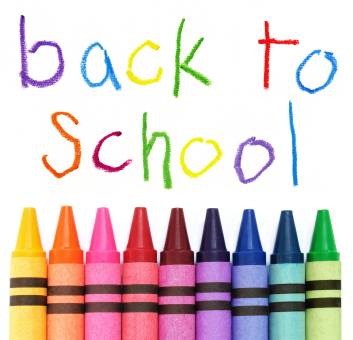 Fewer Back to School dedicated E-mails are arriving from busy Mom Blogger sites as well. Does this mean that Back to School isn’t a focus anymore – at least in the way we’ve come to expect? Are we not supposed to rush out and buy new clothes, binders, environmentally correct, no-waste lunch boxes and lunch recipe books? What about the new laptop and software? What about the 100s – 1000s of dollars that are supposed to go on our credit cards? Every family has unique needs during the Back to School season based on family size, income, types of schools attended and activities undertaken. Each parent has to decide how they want to approach this time of year now that they’ve gotten through the childcare and programme requirements of the summer. If parents want to reconsider the cost of Back to School shopping, a sustainable approach to the return to school and the degree to which they want to embrace new activities or actions, there is much to consider. * Do you already have countless pencils, pens, paper, notebooks and binders spread about the house? Have you used up everything that was purchased last year? Are the items left from last year reusable again this year? Can you and your children refurbish these items to get them into shape for the new year? Can you set up a supply cabinet at home where everything can be stored when not in use? * If your children are bored with their pencil cases and other barely used and previously purchased school staples supplies, can they arrange a swap party with their friends to exchange one item for another that is new to them? * Do you plan to stock up on school supplies when you shop for your children’s needs this year, while supplies are cheaper and often available in bulk? If you take the time to compare flyers and analyze in-store shopping incentives, it might be worth splitting your shopping trip up across different stores. Often these stores are close to each other in major shopping malls. * From a consumer point of view, do you have to purchase a complete set of new supplies for your child for the school year? If you received a list from your child’s teacher early on in the summer, do you need to buy everything on the list? If you stick to the essential items and see which special items the teacher still wants at the beginning of the school year, the teacher might change his mind. * Have you gone through the children’s wardrobes to see what no longer fits? Have these clothes been given away to another family or passed on to charities in the local area? Are you connected with other families who have older children and can pass along their used clothes? * If your children are bored with some of their clothing, can they arrange to hold a swap party with their friends? * Do you have to buy new clothes for your children at this time of year? Did you buy some at the end of the spring season when the sales were on? Can you and your children wait until after the Back to School rush? Can you buy clothes at the end of this coming season and hold on to them for next year? Rather than purchasing clothing from distant countries, can you support local business and craftspeople who make clothes and children’s items? Can you shop from these regional businesses who support sustainable manufacturing processes overseas, or produce their clothes locally? You can also find hyper-local clothing producers through sites such as Etsy.com. If pricing is a concern, you can join the Facebook pages of local businesses and watch for special sales announcements. Local business Agoo Apparel, for example, often advertises generous discounts. Local businesses such as RedFish Kids Clothing produce gorgeous clothing that do go on sale. * Can you and your children reconsider how many activities should be part of the extra-curricular schedule? This change would help the family budget, provide more downtime for the children and promote a slower and more peaceful schedule in the household? These choices also reduce your family’s carbon footprint since you will not be driving back and forth to many different events and using resources to attend these events. By reducing the amount of activities attended, you provide your children with the opportunity to appreciate and enjoy the ones they have carefully selected. * Have you thought about enrolling your children in a programme such as the Girl Guides, or a similar organization? By attending one programme they can experience sports, outdoor, cultural, community and artistic activities. Since these types of organizations are heavily supported by volunteers, they are relatively affordable. *If you live within half an hour’s walk to your children’s school, can you and your children commit to walking to school as much as possible? Perhaps once every day, or two days? * Can you think about how funds allocated for charities in the household budget, at least partially, can go towards supporting less fortunate children in the area? Passing on your still-in-good-shape second hand clothing and furniture can help them, but they also appreciate opportunities such as having the chance to take part in sports. One example of this type of programme is the Canadian Tire Jumpstart programme. * Families can analyze if they really do need to change their TV, laptops and phones at the beginning of the school year. * How could “unplugging” from computers, technology and social media more often, as a family, not only help use less energy, but help energize the family? As an example, do you all need to be using your smart phones during an extended family dinner? * Can you and your family commit to attending local events in your community that are free and accessible by foot, rideshare or local public transit? The events of the Public Dreams Society are a wonderful example of creative, local and accessible cultural events. Families can take part in pre-event workshops, attend the events and even volunteer. During the Back to School season we can think about shopping and what changes we want to make to school lunch menus. We can also think about broader issues that have a large impact on a local, national and international scale. Some of the changes that we might want to make have a direct connection to the Back to School season. Others can start at the beginning of the school year and have a more long term influence in the lives of our family members and people in our community. What ideas do you have in your family to Reduce, Reuse, Repurpose and Recycle?